Offering you a complete choice of products which include titanium flanges. We fabricate and supply Titanium Alloy Flanges in standards like GB, ANSI, ASME, API, JIS, and BS. 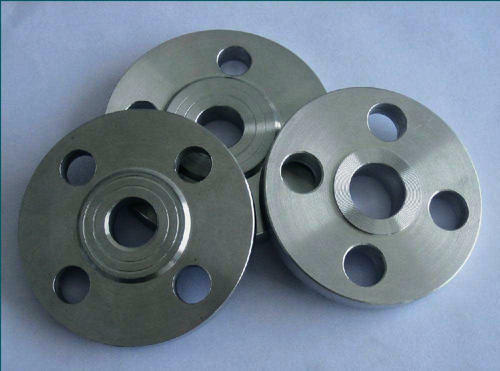 These titanium alloy flanges are available in varied sizes as per the requirement of various application areas like petro-chemical project, pipe engineering and public appliances. We pack and offer these flanges using wooden cases or as per the requirement of our clients. We also offer carbon steel and alloy steels.